A pair of white peacocks at the Bronx Zoo inspired Jessie Arms Botke to embark on a lifetime journey of creating sumptuous, dreamy avian portraits such as these. 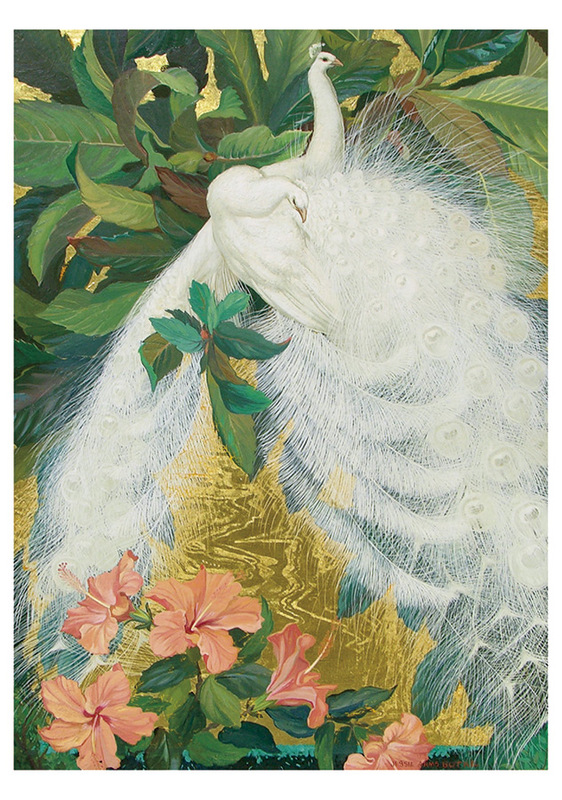 Her peacocks display the utmost of elegance and grandeur, their plumes and crests often framed by lakes of gold leaf and giant, lush blossoms. An ethereal tranquility emanates from the unblemished world her exotic subjects inhabit. 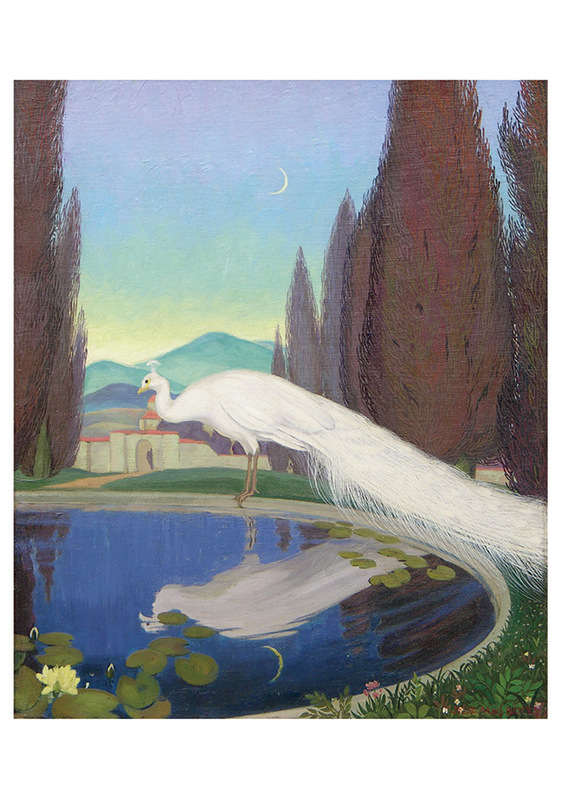 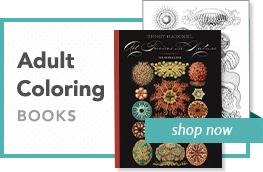 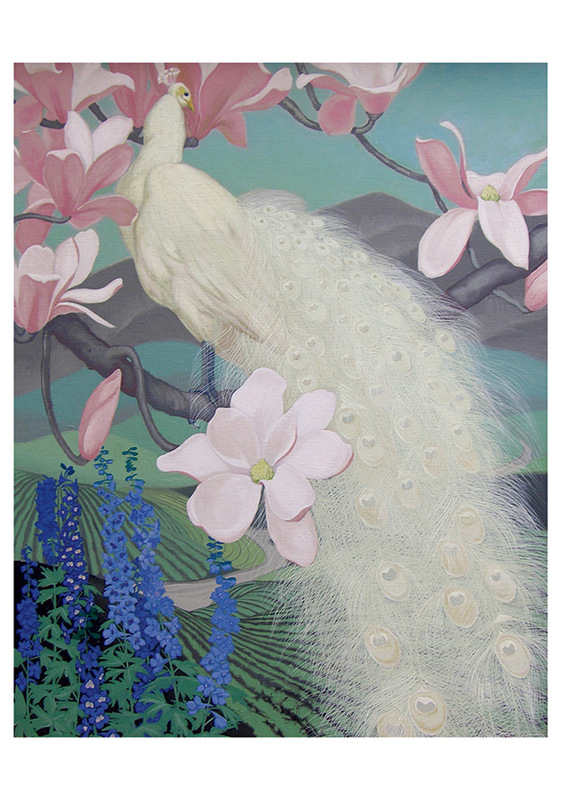 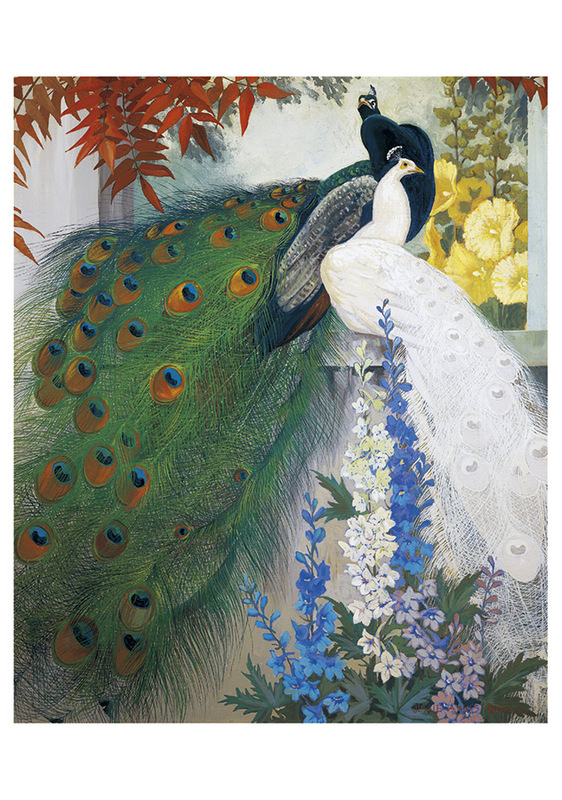 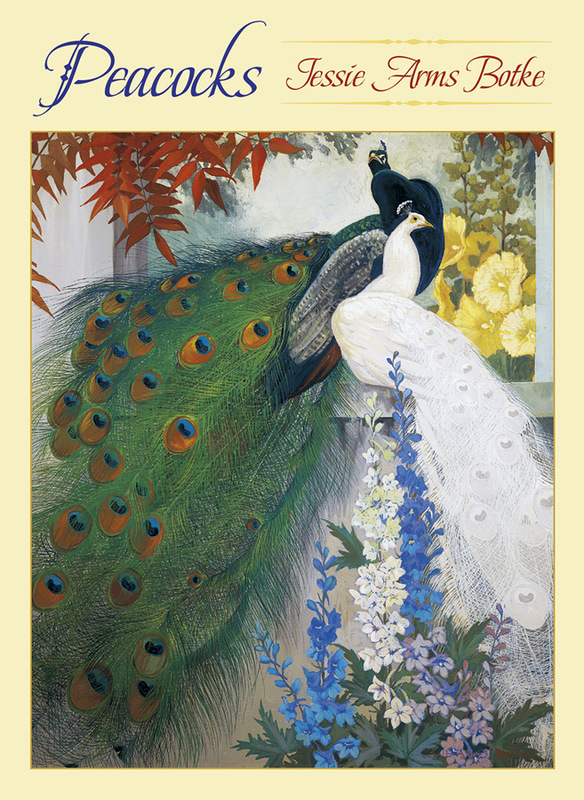 The Chicago-born decorative painter (1883–1971) encountered those first peacocks while on assignment for her employer, a tapestry designer, and went on to travel the world in search and study of birds. Botke also made linocuts, woodcuts, and even murals (some in collaboration with her artist husband) over an artistic career that lasted more than fifty years.